Super Savings! Up to 40% off on Accessories at Laurenee Lifestyle. 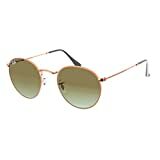 Top brands include Costa Del Mar, Kate Spade New York, Ray-Ban, Prada, The North Face, MICHAEL Michael Kors, & Tom Ford. Hurry! Limited time offers. Offers valid only while supplies last.